It’s been nearly 3 months since MMT has been able to write up a blog. The main reason being his new boss, so is desperate to make their mark in the world of agile methods as applied to banking information technology. Sounds like a bunch of buzzwords? You are not wrong. Either way its meant no blogs. So much has happened in the period of time. Simon Yates of Australian team Michelton-Scott won the GC at the la Vuelta. Rohan Dennis won the UCI world championship time trial. Amazing stuff. At some point MMT will have to write something up on both events in celebration of two outstanding achievements. So MMT what is MMT up to?? We’ll today he’s sitting in a very nice Airbnb apartment in Madrid listening to his wonderful 2 1/2 year half pint snore in blissful sleep. Yup, Team MMT is on holidays in Spain. This morning Team MMT shook off jet lag accumulated over a 24 hour flight from Melbourne, visited EL Rastro, the wonderful Sunday morning flea market that occupies an entire central suburb in old Madrid. On the way. 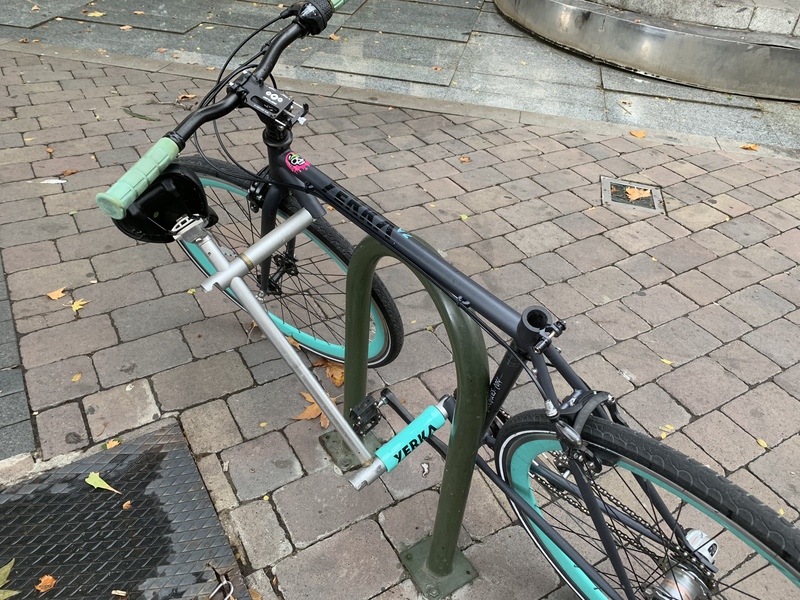 MMT noticed a very interesting bike, that he had some vague memory of seeing in Urban Cycling. So here it is. MMT did a quick google on the manufacturer, ‘Yerka’ and found a very professional website and what appears to be a very interesting piece of bicycle engineering. Much to MMT’s surprise the manufacturer has a shop/office Biciobikes located in Madrid, only a few blocks away. So Tuesday, he’s going to drop by the shop and indulge in some very poor Spainish to find out a bit about the bike. 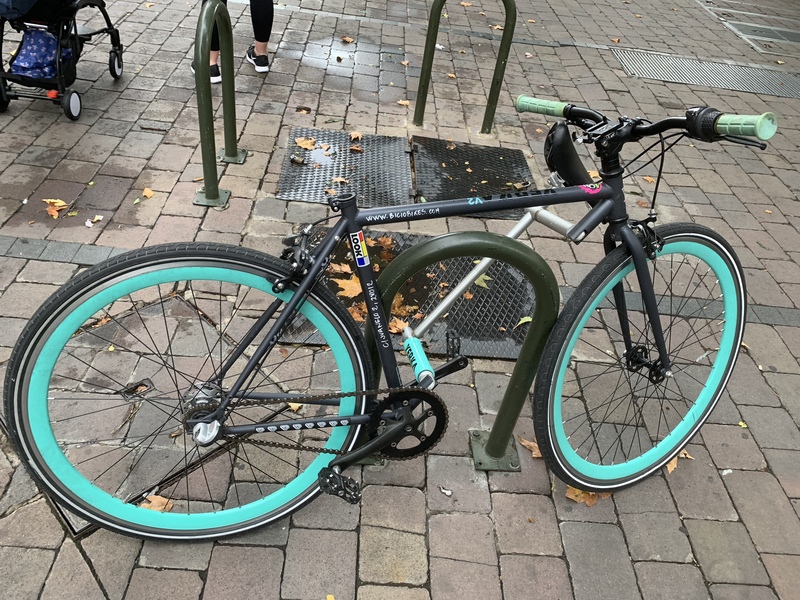 Adiós por ahora y monta con seguridad en tu bicicleta. 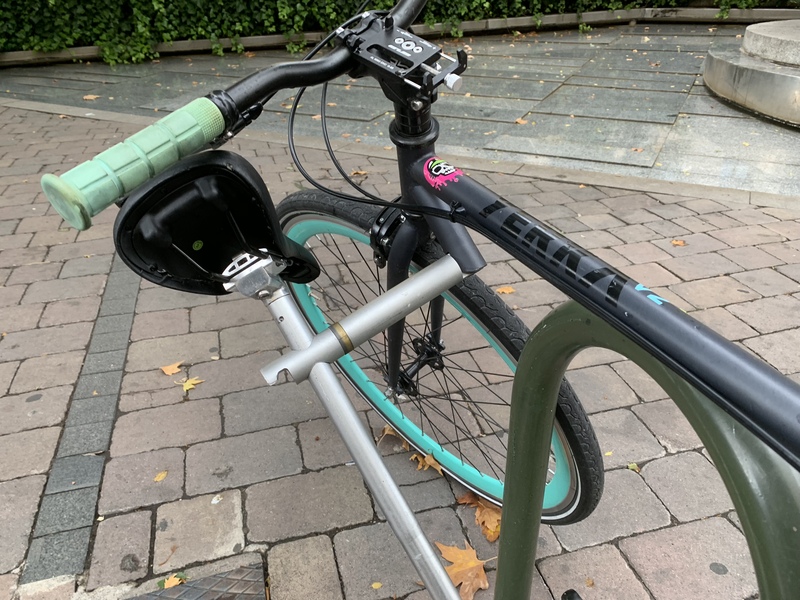 This entry was posted in Commuting, Travel and tagged Madrid, Psycho Boss, Rohan Dennis, Simon Yates, slacker, Yerka on October 15, 2018 by Marv.